Have you ever heard of travel stress? Many of us have and definitely know that traveling is supposed to be fun, but sometimes it can be stressful. Being in an airport, flying on a cramped plane and even the anxiety of getting to your destination can increase the stress level of your travel experience. Luckily, there are ways to avoid travel stress through planning and preparation. Make a packing list: Attention to detail is crucial, or things could be missed. Make yourself a packing list one week before the trip. As the week goes on, you will realize that you continue adding to your list, but you will eventually have everything you need. Book your flight ahead of time: There is no need to wait till the last minute to plan your flight. Unless it’s a spur of the moment trip. Look at flight times and different days to get the best deal on your flight. Book your transportation in advance: You don't want to find yourself without a ride to the airport, adding more travel stress to your day. With SuperShuttle, you can book in advance and receive confirmation of a ride to the airport. Secure your ride ahead of time and book when you finish booking your flight. Once your planning is done, it is time for you to get out of your SuperShuttle and face the airport crowds. There are a couple of steps once you arrive at the airport. For some, you need to check your bags, make sure the kids are happy and double check for missed items. All of this can add to your travel stress. The last thing you need at this point is to see your bag weigh in over the allowed amount, resulting in fees. To save you from this, check out the Travel Luggage Scale. 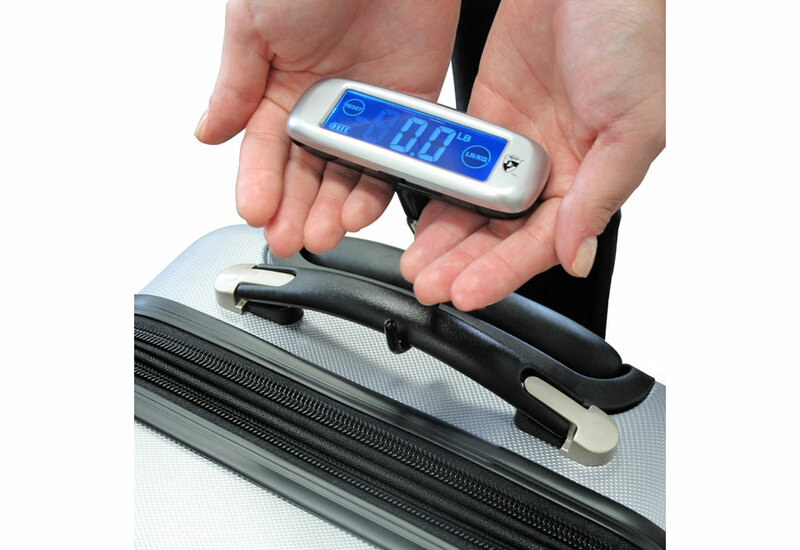 It is a great little device that weighs your luggage in advance and will help reduce the stress of over packing. Take off your shoes while you are waiting in line. Don’t wait till the last minute, because this will hold everyone else up. Because you know everyone at the airport are dealing with travel stress as well. Make sure all your electronic devices are out and in their own personal tray. Along with miscellaneous items in your pocket. Have your plane ticket ready and proceed through the checkout like a breeze. It won’t be a stressful time if you have a plan before you approach the security walk-through. Go look in some of the shops around the airport. You can find a magazine to read or get some pre airplane snacks. If you are feeling a little anxious, bring things to keep your mind occupied. Bring a laptop to watch a movie on, listen to your most relaxing tunes or read one of your favorite novels. Whatever calms you down the most make sure to have with you. To avoid being agitated by people, don’t rush to be at the front of the line to board the plane. All that will do is get you on the plane sooner, where you will have to sit longer as more people board. Just get in line to board the plane and patiently wait your turn to be seated. Plan where you want to put your luggage. If you know you are going to get into your bag for snacks, keep that bag under the seat in front of you. This way you don’t have to keep getting up to retrieve things from your bag. In any case bring two carry on bags, one bigger for overhead storing and one smaller for the things you will need in flight and that you can stow under the seat in front of you. There have been many studies showing that during flight take-off and landing it is smart to do meditation exercises. Focus on your breathing and get through the awkward part of the flight. Landing and taking off makes your body feel that it is under tremendous pressure and it is. Air pressure can make people feel crazy and out of control of the situation. “It’s the most powerful stress-relieving tool we have,” says Emily Fletcher, a Vedic meditation expert who founded Ziva Meditation and the online course at Ziva Mind. “Keep this in mind while you fly… If you breathe in for two counts, exhale for four. If you breathe in for three, exhale for six. Try that 10 times.” Fletcher suggests this easy technique, which you can do sitting, or walking which is perfect for if you are stressing about if you packed everything you needed for your trip. Take these tips and utilize them on your next trip to the airport. They won’t let you down!